OK, I reckon that if you’re not a metal enthusiast, it’s unlikely you know Angra. But let me give you a short intro to this Brazilian metal band. With a name inspired in the Goddess of Fire of Tupiniquim indigenous people, Angra is a power metal band, with traces of progressive rock and heavy metal, in a NWOBHM way. Like fellow brazilian death/thrash metal giant Sepultura, Angra constantly brings new, different sounds into their music, augmenting their musical depth as well as not limiting themselves from most rock and metal clichés. Inspiration for Angra’s music varies, ranging from classical music, strongly present in albums, such as Angels Cry and Rebirth, to sounds from traditional and popular Brazilian genres, as one can see in Holy Land and Temple of Shadows. Angra always seemed to follow a very parnassian style of making music, so expect strong technical performances in every instrument and vocals. So, acquaintances made? Alright? Secret Garden is their seventh studio album, the first to feature vocalist Fabio Lione, who is originally from Italian power metal band, Rhapsody of Fire. This album was criticized by part of the fanbase, as it sounded quite differently from what Angra used to sound. Personally, I didn’t find it any worse than their previous works, only different in its essence. And what’s the issue? The normally strong but melodic metal, with heavy songs and some ballads here and there was turned into something a bit more experimental. Yes, Angra went on and experimented, resulting in a somewhat different sound, although not far from its roots. OK, it’s not like they were as bold, as alternative or even experimented as much as 70s art-rockers – Secret Garden is not the prince of metal innovation, but it’s a clear big push on traditional power metal boundaries. Apart from some classical-Angra songs full of speedy power metal, strong melodies, passages and riffs, expect a lot more of progressive traits, such as tempo-changing, and complex instrumentation and also other characteristics, such as some crescendos, ballads, use of percussion and classical themes. Another great feature were the mood changes from previious albums and take note of the amazing guest singing of Simone Simons (from Epica) and Doro Pesch (Warlock, solo). Finally (and not wanting to make myself much longer), I had my reasons for liking Secret Garden. It’s true that I’m a long-time Angra fan and a strong metal enthusiast, but the key feature that really made me put this album over many other 2014 great albuns was the way it exceeded my expectations. 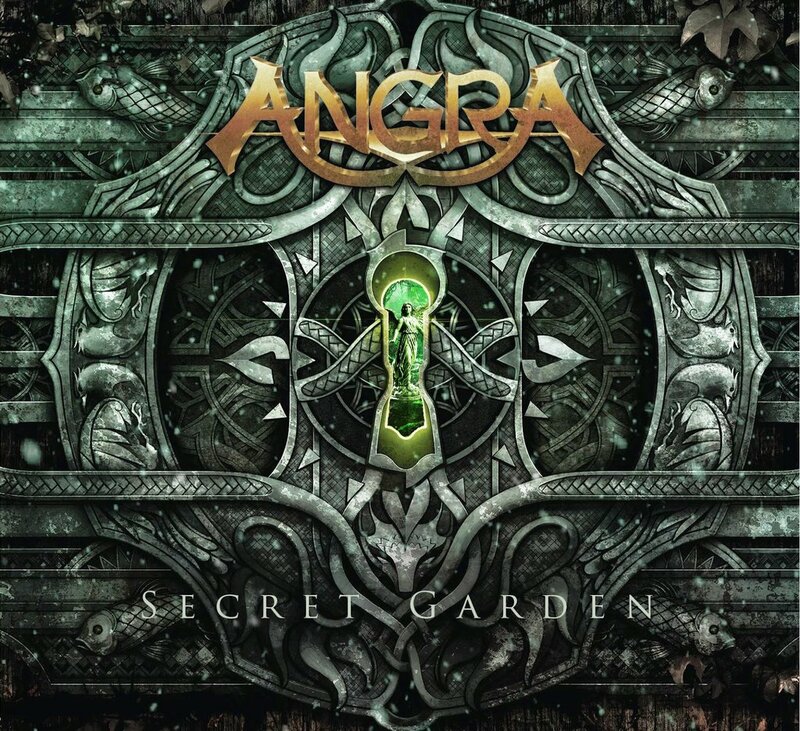 Secret Garden was different from many new albums of long-loved bands, who were just newer versions of the same (Angra included). In this effort, while searching for something new, they were beyond their rational parnassian music-making: It was a creative, future-seeker effort, much more emotional and human than most of their previous works. Yes, it might be a bit difficult to digest sometimes, or even a little boring for non-metal listeners, but don’t doubt: it’s worth your time! Believe me, listen to it to its end, and then, listen again, focusing on its great instrumentals and imagine what kind of potential was unveiled from this experience. If this surprising album that made a pessimistic long-time fan replay the record over and over again doesn’t make you, rock/metal fan, interested or any music-lover curious, I’ll be surprised with what would make.